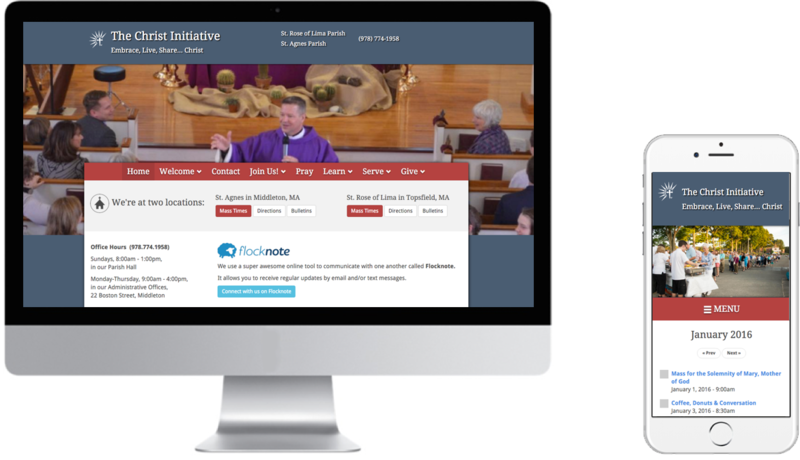 We create beautiful, awesome Catholic websites. a beautiful website that's easy to update? Catholic web design by Catholics who love Jesus Christ and his Church. We believe in gorgeous, contemporary design that leaves a lasting impression upon visitors. Our customer support is simply outstanding. We have your best interest in mind. Your website’s capabilities improve continually as we regularly release new features and upgrades! Gain access to hundreds of features instantly. Choose one of our FREE beautiful website designs, or purchase a custom design. We can create a custom design for a one-time fee. It will be mobile-friendly and integrate into the platform seamlessly. CatholicWebsite.com is a product of On Fire Media, Inc. Need a tool to manage Eucharistic Adoration scheduling? Please visit WeAdoreHim.com.